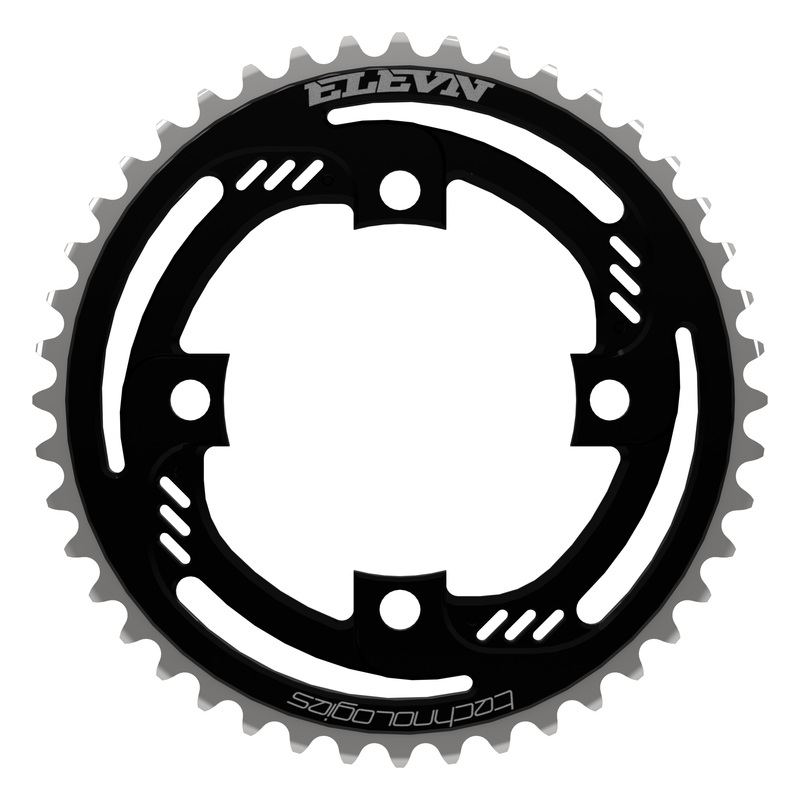 Elevn 4Thrust 4 bolt chain rings offers the perfect combo of strength and weight from a fully CNC’d sprocket. 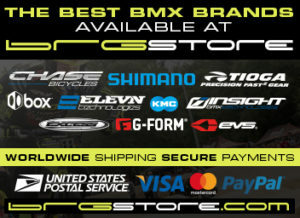 Elevn 4Thrust chain rims come in 3 Brilliant colors and 10 sizes. 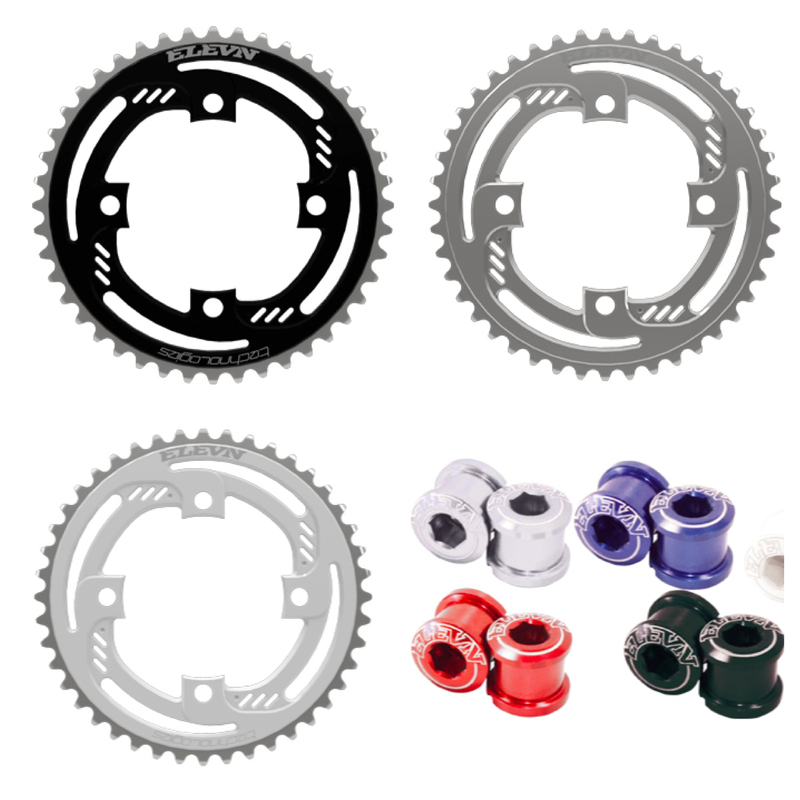 Features include: 6061-T6 Full C NC with laser etching 4.4mm Thickness, BCD 104mm Sprocket. Chain Rings are CNC’d then painted or anodized, then CNC’d & Laser etched. Colors: White, Black & Polished.